We’ve combined the beauty, sophistication, and advanced technology of NextDesk with a best in class treadmill. It’s the perfect solution for anyone who is looking to exercise while working. While we didn’t make the first treadmill desk (credit to Dr. James Levine of the Mayo Clinic), we did make the treadmill desk better. 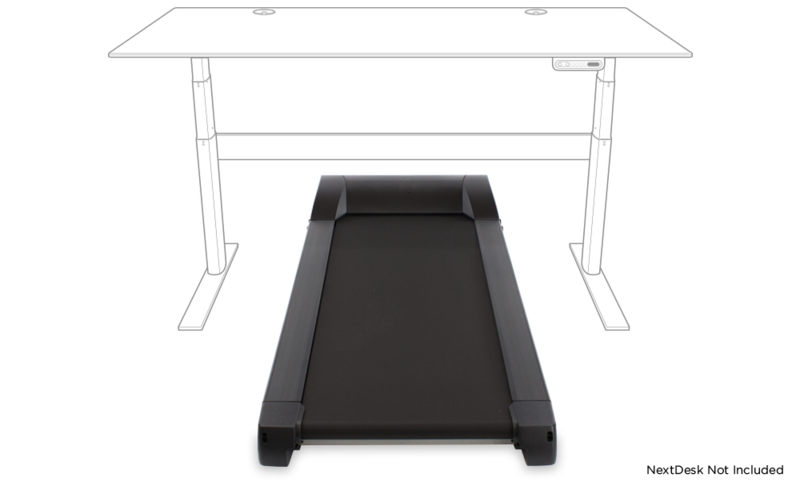 Think of the NextDesk Treadmill as your own personal get fit tool. The Surgeon General recommends a minimum of about 10,00 steps per day—that’s about five miles. Yet the average person walks less than half of this. In as little as two hours per day on a NextDesk Treadmill, you can complete your workout and your work. Not having to find time to squeeze in a walk or workout - because you're already doing it!